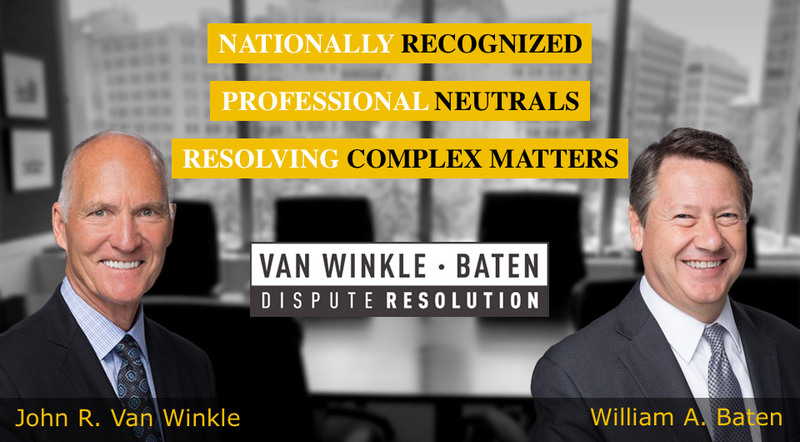 Since 1995, John Van Winkle and Bill Baten have successfully mediated and arbitrated thousands of complex matters in the Midwest and across the country. Across a wide spectrum of subject matters, John and Bill continue to be the "go to" mediators for parties who demand a comprehensive, merits-based, and never-say-die approach to resolving their disputes. As arbitrators, they have developed a reputation for efficiency and fair-mindedness, and will never be accused of simply "splitting the baby". Contact them today to resolve your toughest disputes.